Alex Simon is a fully qualified holistic therapist, who specialises is aromatherapy treatments. She is qualified as a massage therapist, a sports massage therapist, a reflexologist and an aromatherapist, Alex integrates various modalities into her treatments, in a person centred and truly holistic approach. 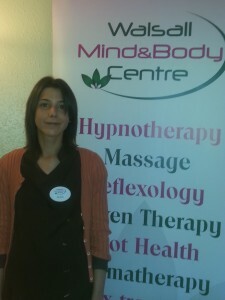 Alex’s aim in any treatment is to promote balance in mind and body to support overall health and well being. Using the art of aromatherapy, either as a stand alone treatment or as an aspect integrated into another treatment Alex is able to achieve a powerful therapeutic benefit for her clients. The essential oils Alex uses are of the highest quality and work to facilitate the bodies own healing and the minds self help. The oils work both through contact with the skin and through our sensory reaction to them, and through their impact on Brain chemistry. The knowledge and expertise Alex brings to blending the oils is considerable and creative. Alex can recomend and use oil blends for various conditions and a skin types and for stress relief and relaxation.